I love herbs! 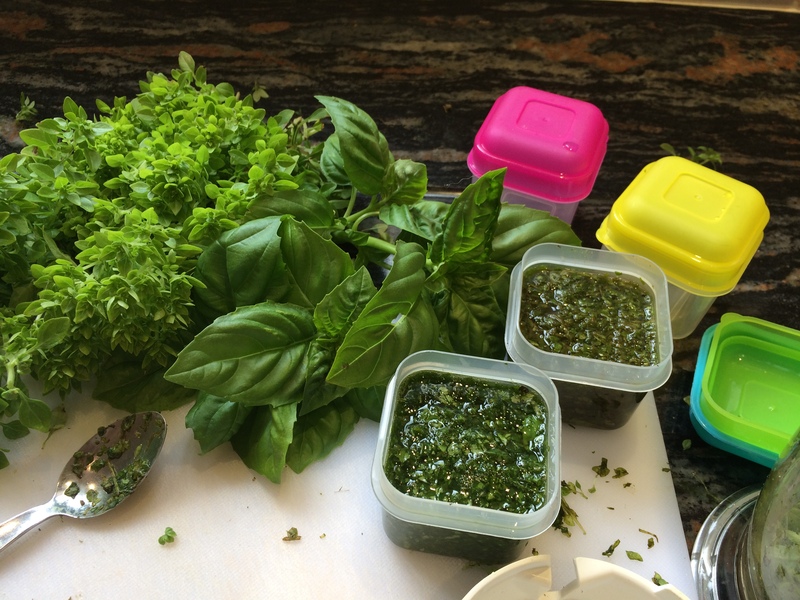 I’m not sure which one is my favourite – basil is definitely up there at the top but so are coriander, mint and dill; not forgetting parsley, rosemary and thyme. And then there is oregano etc. I love them all and they each have a place in different recipes. This year I have been using dill quite a bit; it makes a wonderful sauce/dip blitzed with live yoghurt, a spoonful of maple syrup or honey, and a squeeze of lemon juice. Although I think my favourite light summer evening meal is sliced sun-ripened tomatoes, interleaved with mozzarella and topped with fresh basil leaves and olive oil. Even the thought of it makes my mouth water! I try to buy rooted herbs when I need fresh and have none in the garden so I can plant them in pots to grow on. 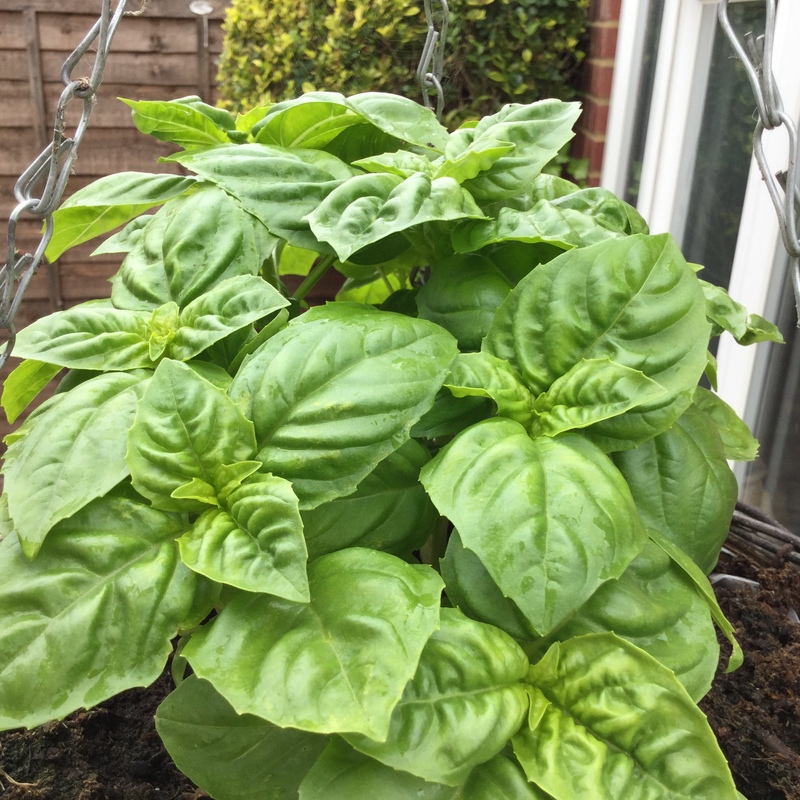 This year I have been extremely successful with basil and also Greek basil which I always grow-on in hanging baskets as this seems to be the only way to avoid the slugs and snails who seem to love it and completely demolish the plants if anywhere near the ground. As often happens, I end up with a glut of lovely fresh herbs just as I am going away and I know that by the time I come home, they will be past their best. I also grow herbs on the Isle of Wight and exactly the same thing happens – they come into their best just as I am about to go home. The more ‘woody’ herbs are easy to dry in the open air. I have a special place in my kitchen where I hang bunches of rosemary, oregano, sage and thyme. It’s out of the way and not in bright light so I leave the bunches until they are perfectly dry and then crumble them into airtight containers. The dried herbs last for up to a year and can be used in many dishes. Fresh herbs are usually added at the end of the cooking period to preserve their delicate colour and flavour, but it is best to add dried herbs earlier on so that their flavour develops. Leafy herbs like basil, parsley, mint etc don’t dry as well hanging in my kitchen so I freeze them. I chop the leaves and pop them either into ice-cube trays or slightly larger containers; top with water and freeze. They can be added to so many dishes from frozen. 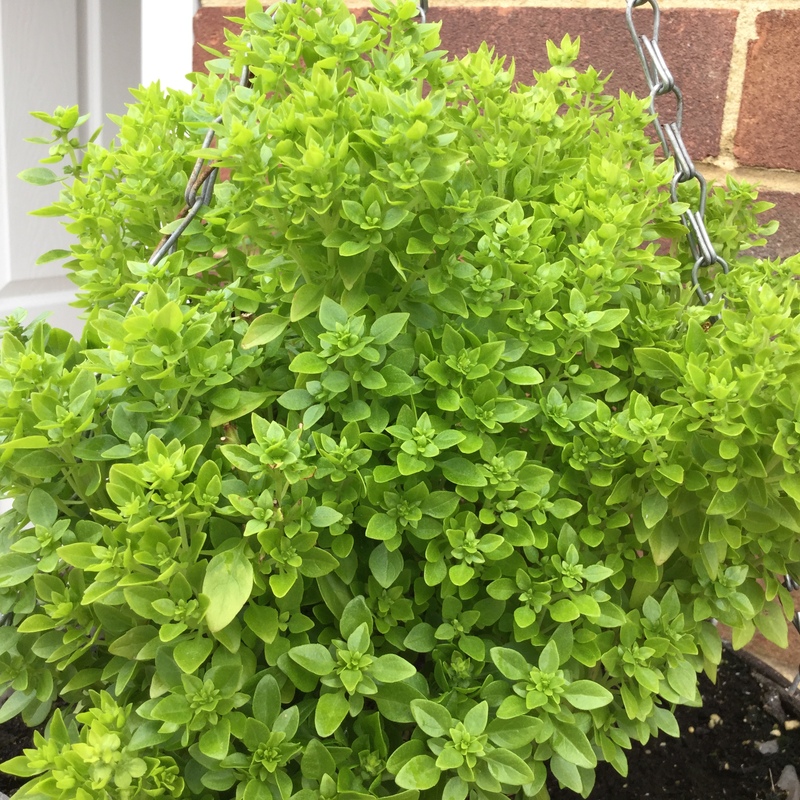 This entry was posted in Miscellany and tagged Basil, Dill, Healthy Eating, Herbs, Mint, Oregano, Parsley, Rosemary, Thyme. Bookmark the permalink. 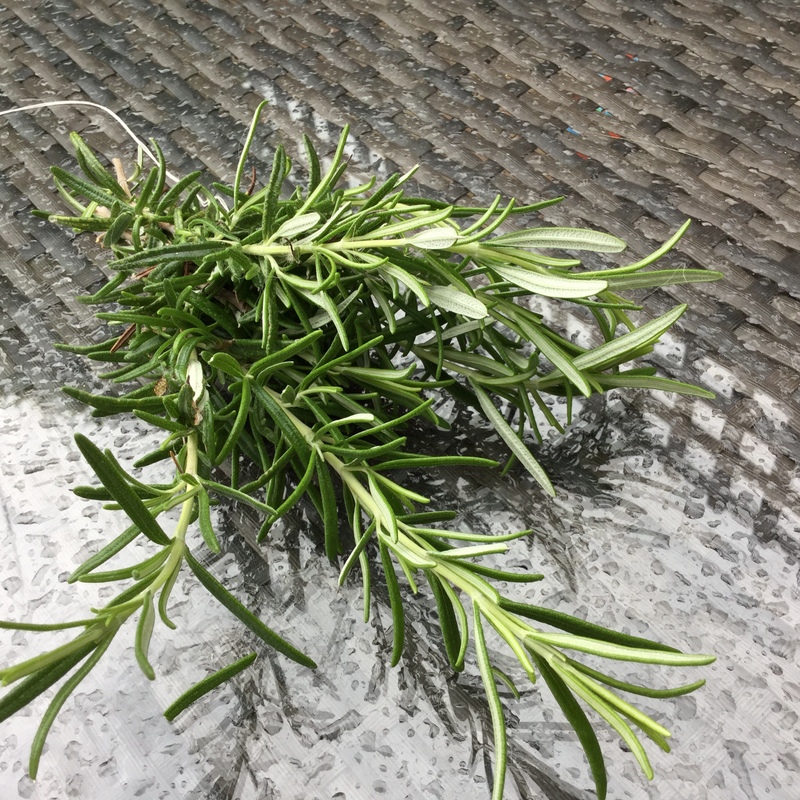 5 Responses to Herbs, Herbs, Herbs……..
Lovely to read your herb-y enthusiasm. Great pictures too. Thanks, I will be sure to keep a eye out on your blog site. Thanks for the knowledge.